Explore the beauty and wonder of natural stone for use in your home. Granite, marble or quartz, find the countertop option that is right for you with the help of our staff. Our showroom has material samples, displays and experienced Designers/Project Managers to help inspire your design. The skilled craftsman in our shop design and fabricate whatever you need. From kitchen and bathroom countertops, to floors, bars, or fireplace surrounds. Great Lakes Granite and Marble is recognized as one of the top natural stone fabricators in the United States and the only accredited fabricator in Michigan by the Marble Institute of America. 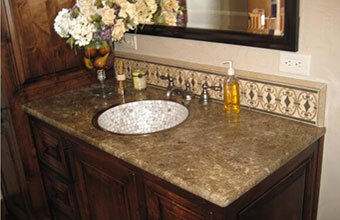 Great Lakes Granite & Marble is Michigan’s largest natural stone countertop fabricator. We specialize in projects ranging from kitchen countertops, master bathroom vanities, shower and tub surrounds, fireplaces, outdoor kitchens, commercial stone walls, floors, and more. Planning, communication, craftsmanship and attention to detail important factors in making your installation a success. But words are only words. Take a look through our kitchen gallery to get a better idea of the quality we deliver. Today we occupy a 23,000 square foot fabrication facility that has 2 table saws, a 2 table saw/jet, 4 CNC router tables, 3 edge polishing machines, 1 surface polishing machine, and many hand tool stations where our artisans perfect the details of your countertop.  We have long-standing relationships with international suppliers from Brazil, Italy, Singapore, and Spain, which allow us to offer you 1700 materials to choose from and many cost saving alternatives Plus, our 24,000 square foot warehouse in Redford, MI houses a comprehensive stock of first quality granite, marble, and quartz slabs for easy viewing and selection. In 1999, Rich Booms was elected to the Board of Directors of the Marble Institute of America and served as President of the Organization in 2003. Great Lakes Granite & Marble is Michigan’s only fabricator and one of only 52 fabricators in the United States, and Michigan’s only fabricator to earn the coveted designation of Marble Institute of America (MIA) Accredited Natural Stone Fabricator. This demonstrates our desire to strive to be among the finest in the natural stone industry with respect to craftsmanship, safety, and business practices. Our sister company, Booms Stone Company, is your resource for all commercial stone needs. For more information, please visit their website at www.boomsstone.com. Customers who were very happy with their experience with Great Lakes Granite & Marble. Read reviews of our services from our customers. Meet the Great Lakes people who will be in your home. Great Lakes Granite & Marble: Michigan’s Only MIA Accredited Fabricator. How do you know which natural stone fabricator to choose for your residential remodel or install project? The Marble Institute Of American’s accreditation program recognizes those companies that are among the best in the natural stone industry. Since December of 2011 we have received 856 survey responses which showed that 96.5% of our customers were likely or very likely to recommend Great Lakes Granite & Marble to their friends. Read what our customers had to say!